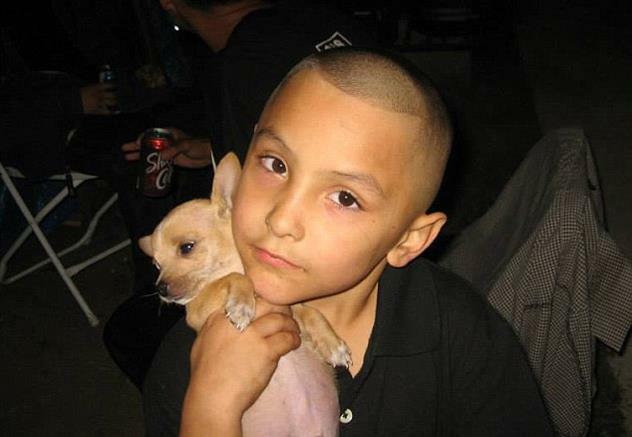 LOS ANGELES – The Los Angeles County Department of Children and Family Services is reportedly going to court in an effort to block the return of a social worker who supervised the case of Gabriel Fernandez, the 8-year-old Palmdale boy who was beaten to death. Gregory Merritt was fired over the case. But he successfully appealed his dismissal to the five-member Los Angeles County Civil Service Commission, which voted unanimously to reinstate him, imposing a 30-day suspension instead of termination. County departments usually abide by the commission’s findings, but Philip Browning, the county’s child welfare chief, said Tuesday he is taking the matter to court after determining that Merritt had “egregiously” missed multiple opportunities to save Gabriel, the Los Angeles Times reported. A department spokesman said Merritt would not be returning to work as a result of the county’s decision to file a petition in Los Angeles County Superior Court, according to the newspaper. Since Merritt’s 2013 firing, he has not been paid. The boy’s mother, Pearl Fernandez, and her boyfriend, Isauro Aguirre, are awaiting trial on charges of capital murder and a special circumstance of torture. They have pleaded not guilty. The pair are accused of beating Gabriel to death after dousing him with pepper spray, forcing him to eat his own vomit and locking him in a cabinet with a sock stuffed in his mouth to muffle his screams, according to court records. 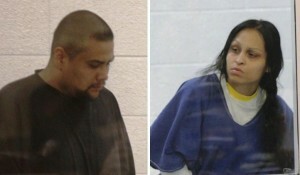 Detectives who searched the family’s Palmdale apartment found a wooden club covered in Gabriel’s blood. In the months before the boy was killed, several agencies investigated allegations of abuse without removing him from the home, and shortly before his death, Merritt and social worker Patricia Clement decided to close Gabriel’s case. Browning fired Merritt, Clement and two other social workers over the case. But Merritt successfully appealed his dismissal. Outraged local residents have since created an online petition at change.org to “Ban Gregory Merritt from working in Child Protective Services!” View the petition here. 28 comments for "L.A. County trying to block return of social worker in Palmdale child abuse death"
Gabriel was innocent child who didn’t not deserve this. As a nurse I see the worst case scenario and this innocent child was just that. Anyone who did not help him when he reached out is to blame. Prayers to Gabirel. Why is your child in foster care in the place??? If something happens to your baby, it will be your fault. You better do something now to make sure they don’t beat your baby. I have known Greg personally for about 16 years. and this is not the whole story. You people need to think before making such harsh claims. I know how passionate Greg is for this job. That so called negligence was due to a subordinate lying to him. How do you think he was so easily able to appeal his termination. A child died because someone was overworked and didn’t do their job. Should Greg really be responsible for that? No and you know it is. And it is wrong that this paper printed his name. I hope they come after you people with legal action. It is always someone else’s fault. I have been a supervisor, we are always responsible for our team! Anon I have known his family for 8-9 yrs..what a nightnightmare! !he’s a good man he doesn’t deserve this…I can’t believe this is happening to his family. .I’m keeping him in my prayers! He’s got my support. .the people who failed him where there sheriff’s and his family they were front line!!!.. if Gabriel was grand son cousin nephew etc…this would not have happened I would have done something like beat some sense into that loser of pearl!! Where where they????? He should be in jail with those other pile of shits. Did he not see the bruises which where so obvious. Some who cared would of asked the child more questions n not the abuser. As a social worker, he was suppose to be able to see past the lies… That’s his job!! He was obviously not as passionate about this job as you say he was, other wise he would not had neglected this cps case, and let that boy die a horrendous death… he should be partly held responsible, and I hope he feels guilty knowing he could’ve saved this boy, but chose to close the case INSTEAD OF DOING THE RIGHT THING!!! If I were Gregory, I wouldn’t dare come back to work after being partially responsible for Gabriel’s death. Gregory, you failed miserably. Find another day job. get educated and u do Gregs job!!! I don’t know if its the social worker that failed Gabriel or if the system did. Social workers investigate many “minor” cases of abuse and can’t just remove every kid who gets slapped once or goes to bed without dinner one night or many other minor things. And a kid who comes to school with a bruise or cut might have really got them while playing or roughhousing, so being a social worker for DCFS must be a very hard job to try and have to weed out the real cases of abuse from the fake ones. And the parents routinely lie about the abuse and tell their kids to lie as well, and lets not forget the calls DCFS gets that are just about getting revenge on a parent who wronged someone. Perhaps there is no way the social workers could have foreseen what happened to poor Gabriel because the case didn’t seem any worse then so many others they investigate, until it was too late. So are the social workers just scapegoats? Would the outcome have been the same no matter which social workers Gabriel had? Are you kidding? Have you not read the reports submitted by the social workers, the testimony from the teachers, neighbors and from Gabriel’s siblings. This was not a case where it was difficult to determine if there was abuse. This was a case of blatant disregard for the wellbeing of a child. Had this been a one-time-call, then yes, maybe I can see the social workers’ not doing anything, but this was months and months of calls, visits and interviews that they chose to ignore. They totally failed to follow procedure when interviewing the children and therefore failed and KILLED Gabriel. Don’t give me this BS about getting slapped once or going to bed hungry. This poor child was TORTURED to death by his own mother and the monster she lived with and DCSF did NOTHING and that’s the bottom line. Have YOU read them? Please show me where you got all this information before the case has even got to trial. Including all interviews from teachers and neighbors, and transcripts of all the phone calls and interviews that prove that DCFS workers are at fault for all of this. I don’t dispute that this kid was tortured to death, but that did not happen over a period of months. Over a period of how long? And what abuse? Its not like he was being beaten on and having his ribs cracked and bones broken every day. Do you want YOUR kids taken away immediately because a neighbor saw a bruise and 8 months later a teacher saw a cut on a knee?? I just think the people who abused the boy are responsible, not DCFS.. And don’t forget… 5 people reinstated Gregory Merritt, maybe they were unbiased and were able to see evidence clearly (evidence we don’t have) and didn’t just throw blame at everyone because a kid is dead. Merritt and social worker Patricia Clement are equally responsible for this child’s death. Yes, it was the mom and mom’s boyfriend who ultimately physically killed the child. The child’s grandfather tried multiple times to get custody of Gabriel but the judge relied on Merrit’s supervision of Patricia Clement’s visits to make a decision. That decision ultimately send Gabriel back to his mother. You are so heartless gabriel wasnt just any kid!! He was an innocent 8 year old boy who was going through some of the worst things who knows what he might have become but we will never know now because hes gone and theres no bringing him back i agree 100% DCFS failed him he asked for help and right once he thought he found it he got his hopes up because gregory merritt selfish cold blooded so called social worker ignored the visible bruises busted lip and burn marks on his body as ive read many times he didnt even bother to remove clothing or properly check to see the rest of his body even though it was clear on gabriels face that he was being abused its obvious gregory merritt didnt care about gabriels life hell he probably dont care about none of these children lives he just cares about a pay check and i really hope and pray he dont get his job back!!! note- I replied to your comment but it wont let me post it – it just does not appear…. weird. If you AVtimes staff can see the comment then please post it and delete this. thx. Me again wish more people would be as smart and reasonable as you..
until you know what its like to be a social worker, you shouldn’t judge dcfs. Its easy to judge and point fingers but you really dont know why the case was handled like it was.The mother and her boyfriend are at fault . Dcfs cant be there 24/7 . Idk why the social workers handled the case why they did only they know . I pray for the family and the boys siblings that saw everything because they will be traumatized for life. This story is very sad and I just hope that no kid ever has to go tgrew this again. “…In the months before the boy was killed, several agencies had investigated allegations of abuse without removing him from the home. Shortly before his death, Merritt and social worker Patricia Clement decided to close Gabriel’s case. At the time, Clement had “skeleton” case notes for at least one visit, leading Browning to later testify that he questioned whether she actually had gone to the home. And other required visits had not been done at all, according to case records. A key responsibility of supervising social workers is to review case notes. According to a brief by Children and Family Services lawyers in support of Merritt’s firing, he knew from Clement’s performance evaluations that she sometimes did not complete her required visits and did not document them properly. By her own account, Clement had failed to interview Gabriel privately, as department guidelines call for. This story still breaks my heart. That poor baby, and the torture he live through every day. The patents deserve to be treated the same way until their death. An eye for an eye! As for this guy being able to come to work, BS…. NO WAY should he be allowed to come back. The way I see it, he and the others who were involved in this case, and didn’t get this boy to a better situation, should be punished as an accessory to murder!!!! I couldn’t agree with you more, it disgusts me what this poor excuse of a mother and her BOYFRIEND did to little Gabriel, but I don’t see how punishing Gregory Merritt, the social worker, will bring any more justice to Gabriel. Gregory, like us all, is human- A human who must REGRET his poor judgement in this case. But just like ALL mistake they are made and LEARNED from. This case made enough of an impact that he will hopefully become the BEST OF THE BEST social worker ever, and save poor innocent children from here forward. I mean give the guy a chance! The “parents” are the people to blame. Why not charge their extended family too? Why is it that so many people respond to a tragedy with “Let’s find someone to blame! Where’s my pitchfork?! ?” The parents lost a child. Just what additional savagery do you want to inflict on them? Their extended family? How about their neighbors who could have volunteered free day care? Their employers who could have provided day care? How about YOU? Why don’t you open up a free day care center in an effort to make sure this sort of thing never happens again? Everyone sticking up for the social worker…his BOSS fired him for doing a poor job. That isn’t saying “he is the ONE to blame.” That’s saying he did a poor job and should look for a different line of work. I personally don’t claim to have such complete knowledge of the situation that I’m interested in second guessing the boss on this one. I don’t know, I’m available. With that said, how is lack of free day care responsible for this? It costs money to have children– I don’t know, I’m done. You sound like someone I would greatly appreciate knowing. I still stand by what I said though. Even if you aren’t one, this town is chock full of people who want to talk about what terrible parents people are when there’s a tragedy, but the odds are there is some latch key kid being “neglected” right on their block, if not right in their house. There are also kids right on their block who are stretching their parents to the breaking point this very minute. And all these people who talk like paragons of parenting generally aren’t doing a thing to help anyone. They are just eagerly awaiting the next opportunity to whip out their pitchfork and talk about how superior they are. PEOPLE LIKE THIS GET TO NOT HAVE THERE KIDS REMOVED BUT YET SOMEONE WHO WOULD BE A GREAT PARENT HAS TO LOSE THEIRS SOCIAL WORKERS DONT CHOOSE THE PEOPLE THEY TAKE THEM FROM AND WHICH ONES TO LET STAY.